It’s 10 in the morning and there is hardly any activity in the office of the Nagar Palika Parishad of Gonda. No garbage vehicles, dumpers and loaders are seen in the office premises. People sit in a chatty mood in their offices. Despite a dismal score in the Swachh Survekshan 2017, there is no sign to make amends. 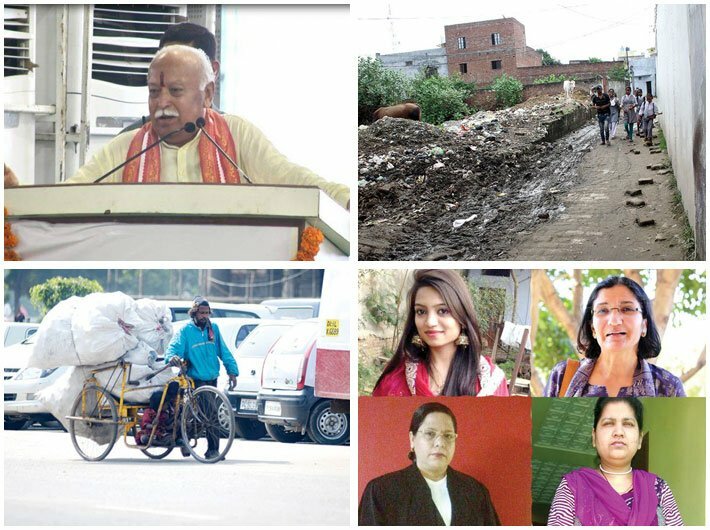 Ironically, the municipal council is observing ‘Swachhta Pakhwada’ – a 15-day cleanliness drive. As I wait to talk with Swarn Singh, executive officer of the municipal council, his phone rings. While talking on phone about some meeting with senior administrative officers, he is continuously interrupted. First by a former sanitary worker, who complains about the delay in receiving her PF money. Then another sanitary worker enters the room and informs him that he got injured while cleaning one of the streets and hence will be taking leave. Singh is the fourth executive officer to be appointed this year. In 2014 alone, the charge was taken by six officers for various periods. The position remained vacant for a considerable time after August 2015.